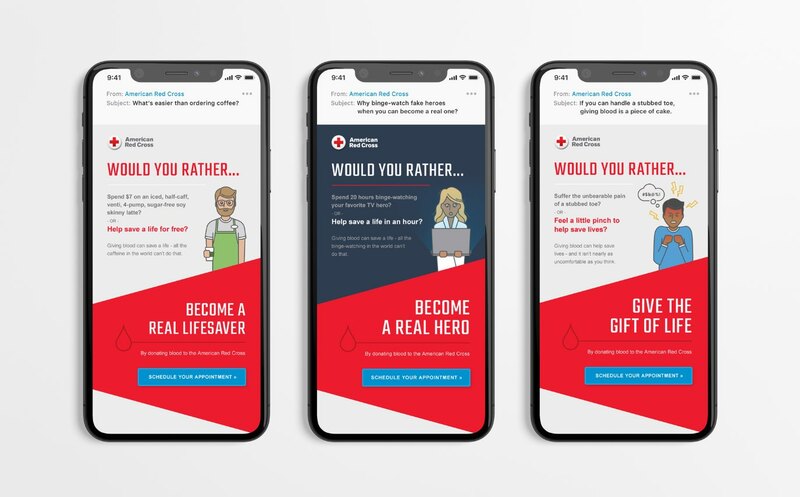 In an effort to engage individuals who have never donated blood, the American Red Cross contacted The Grove to explore new, social-friendly concepts and branded design for an email nurture campaign. 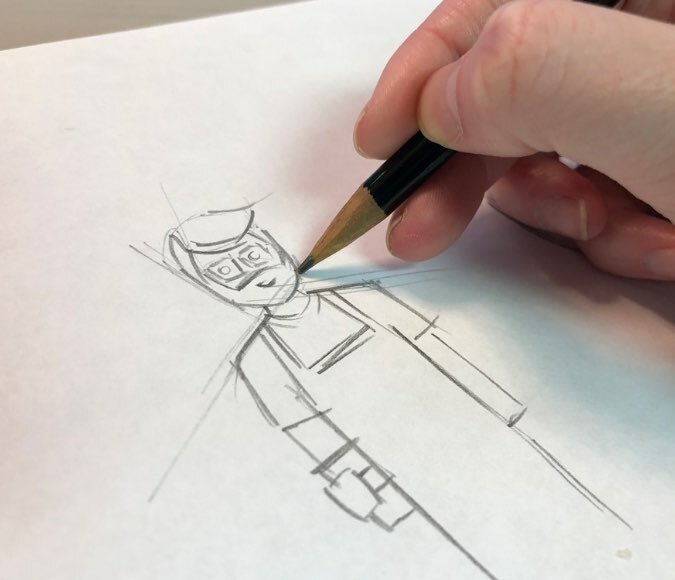 Through initial meetings with the American Red Cross Blood Services team, The Grove gathered that there are many obstacles that prevent individuals from donating blood – whether it be situational fear, momentary pain, or time commitment. 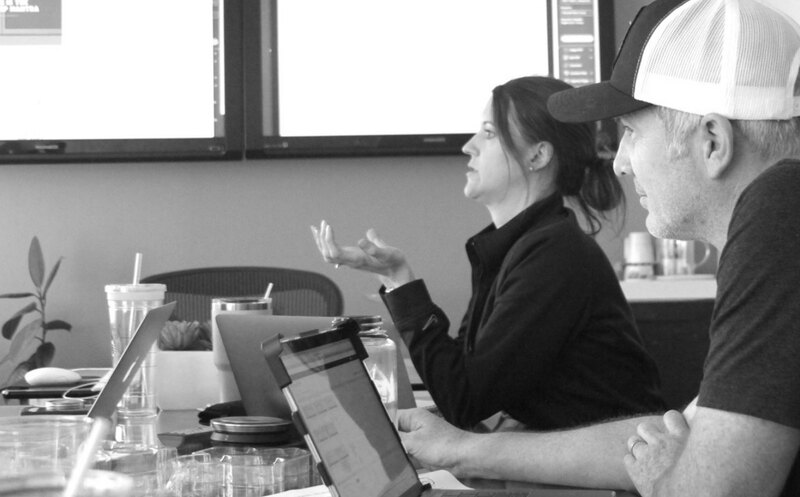 Via targeted brainstorm sessions, The Grove created multiple concepts for the overall campaign – many focusing on how to turn those obstacles into something positive. 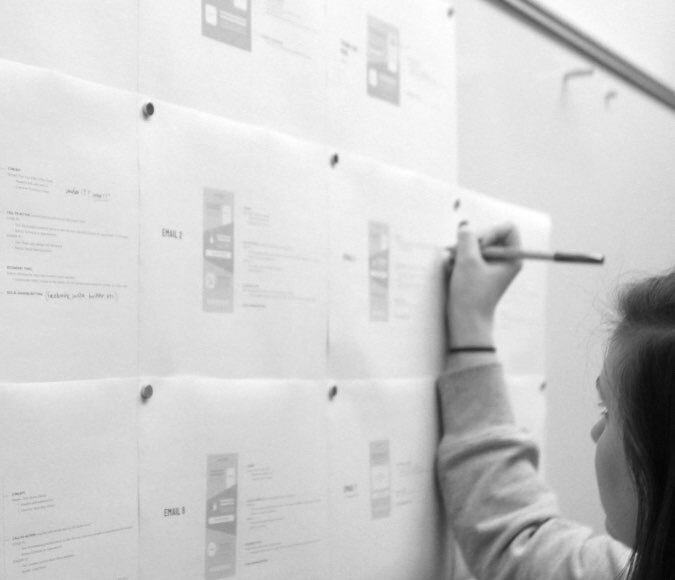 From general concepts and headlines, to hashtags and shareable assets. 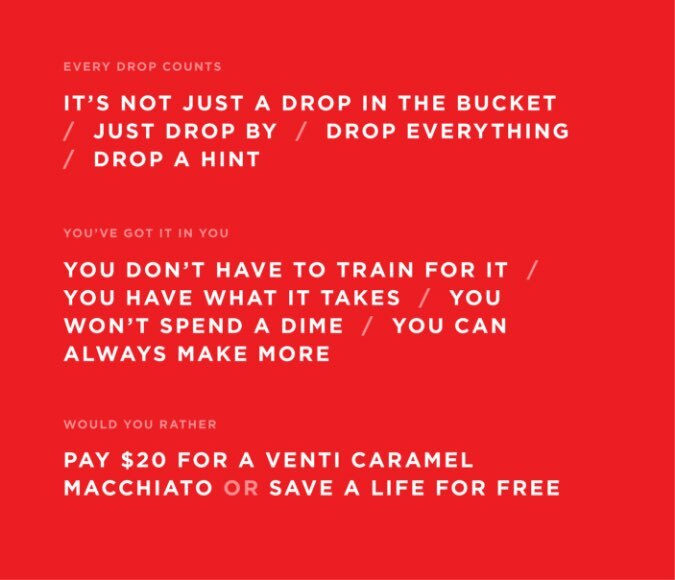 From there, the Would You Rather Campaign was created. The campaign took those obstacles and turned each into lighthearted comparisons of everyday situations. 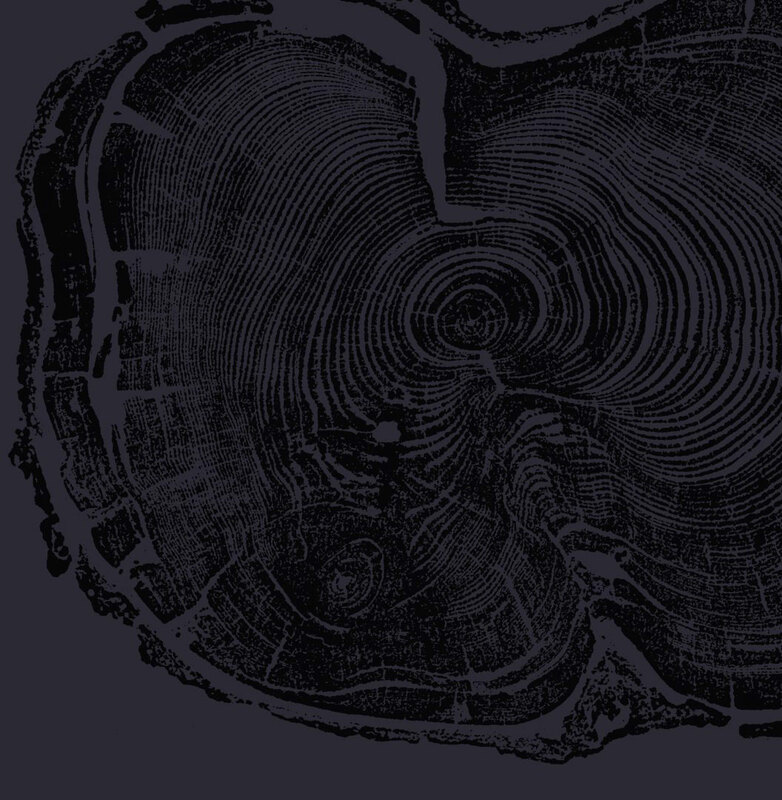 What’s more important – Twenty hours of Netflix, or spending one hour to help someone in need? 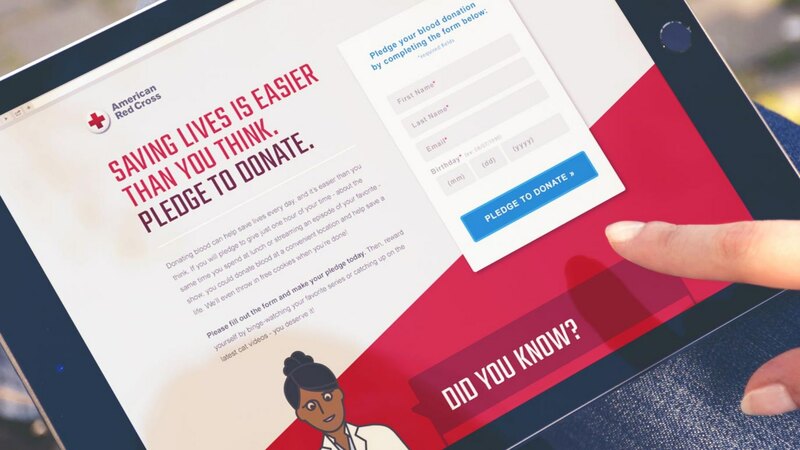 With an initial concept at hand, the team collaborated with the American Red Cross on how to implement such a campaign going from social media, to landing and thank you pages, and into email nurturing. 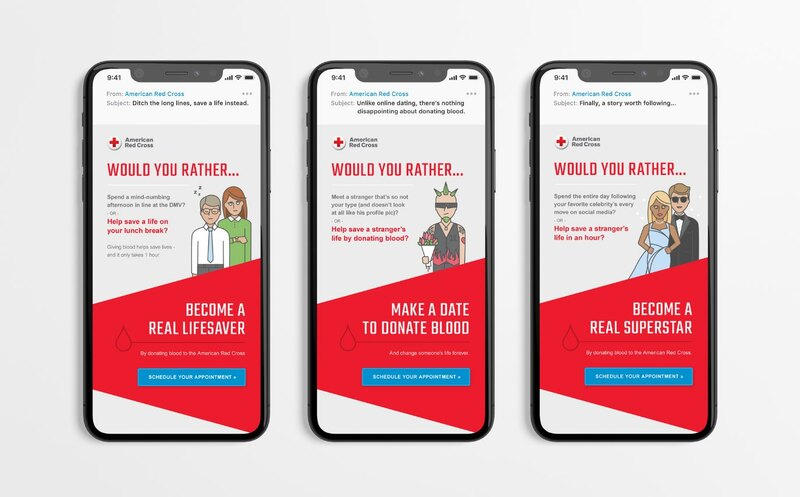 Each of the twenty email designs was based on a separate ‘Would You Rather’ comparison and incorporated custom-designed character illustrations to complete the concept. 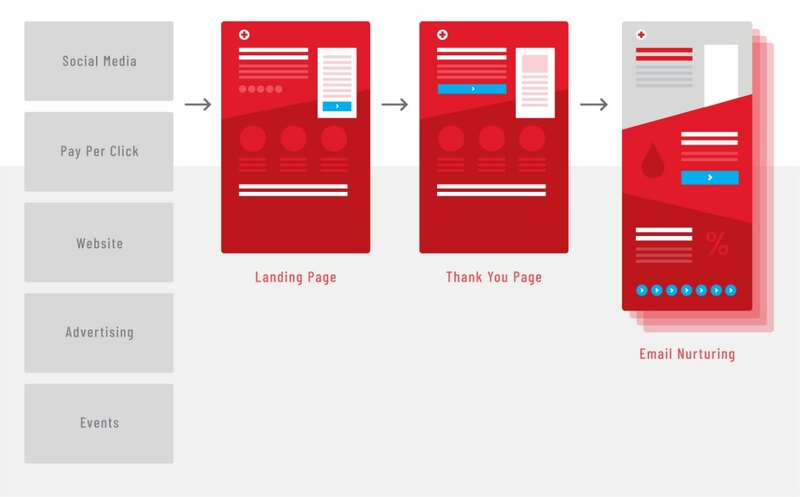 Each email used subject lines to entice the viewer and dynamic layouts to keep their attention. 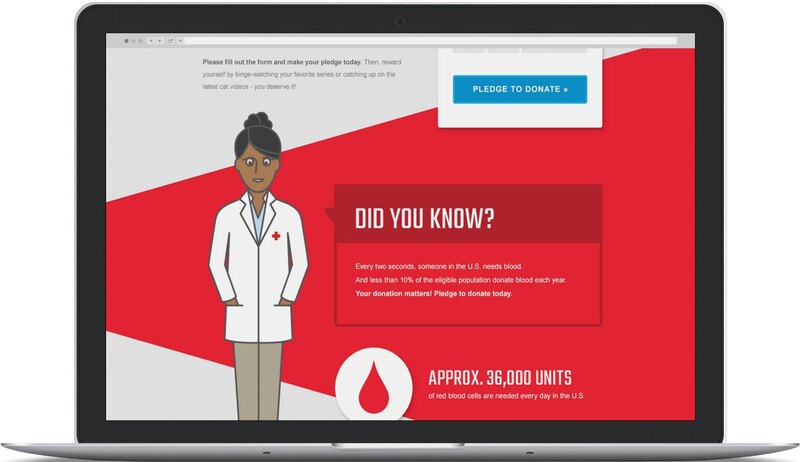 Due to blood donation restrictions, emails were divided into two categories. 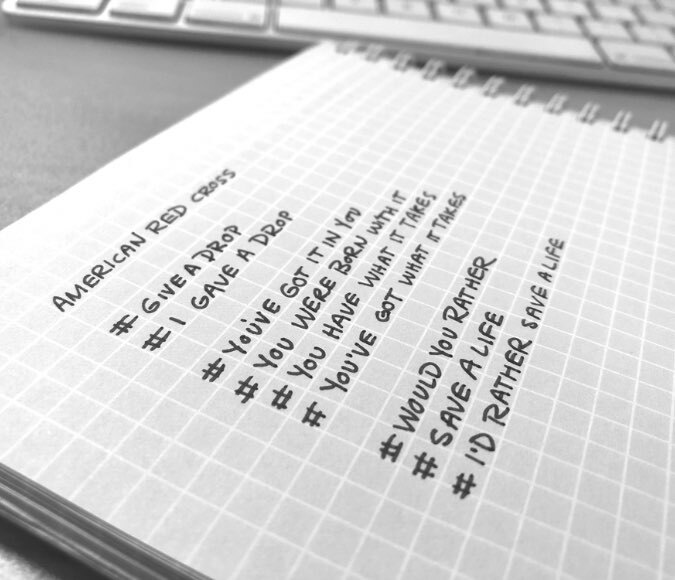 Emails for recipients under seventeen years of age were encouraged to pledge to donate in the future and included more playful analogies. While emails for recipients over seventeen were lead to schedule an appointment with the American Red Cross.